A savory sausage filling that not only taste great in mushrooms but in many other stuff-able savories such as tomatoes, phyllo dough, jalapenos, or even oysters. 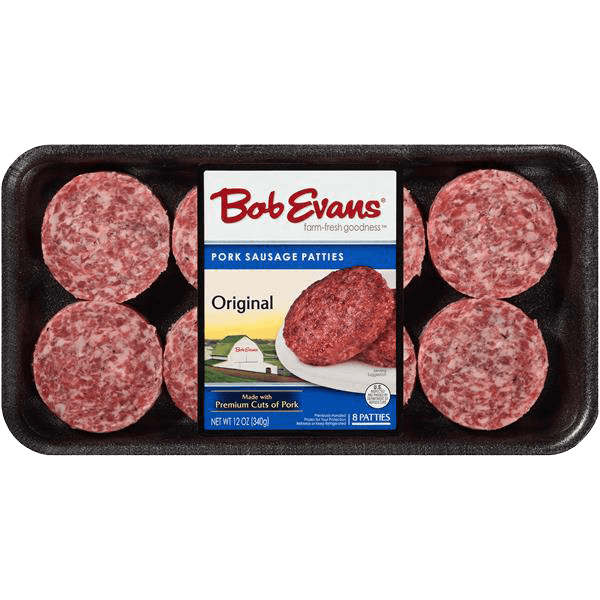 In a skillet over medium heat, cook sausage patties until brown and fully cooked to an internal temperature reaches 165 F (approximately 5 minutes on each side). Unroll Crescent dough onto clean work surface. Using hands, pinch together perforations to create one large sheet. Cut sheet of dough into 8 squares. Roll out each square with a rolling pin to stretch dough to fit the fillings. 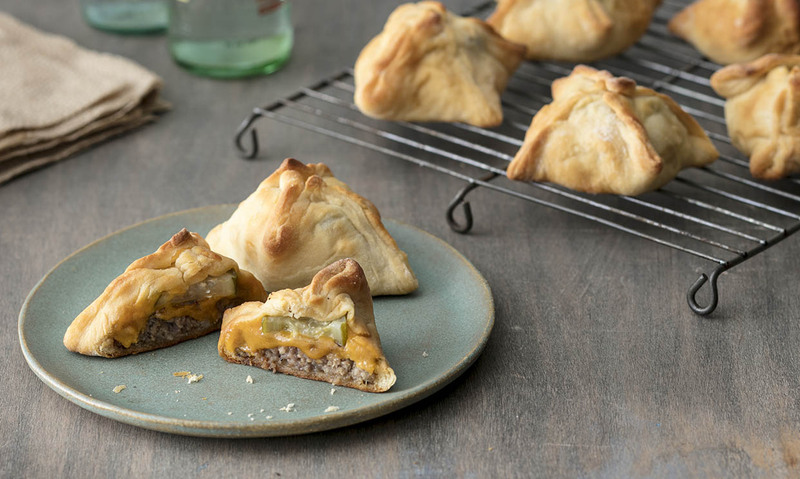 Top each square with cooked sausage patty, ½ slice of American cheese (cut into 2 small 1” squares) and 1 dill pickle slice. Fold all four corners of the dough over the sausage patty and pinch together to close, make sure all fillings are fully enclosed in dough. Place on a greased or parchment lined cookie sheet. 2 In a skillet over medium heat, cook sausage patties until brown and fully cooked to an internal temperature reaches 165 F (approximately 5 minutes on each side). 3 Remove from skillet and drain on paper towel. Set aside. 4 Unroll Crescent dough onto clean work surface. Using hands, pinch together perforations to create one large sheet. 5 Cut sheet of dough into 8 squares. Roll out each square with a rolling pin to stretch dough to fit the fillings. 6 Top each square with cooked sausage patty, ½ slice of American cheese (cut into 2 small 1” squares) and 1 dill pickle slice. 7 Fold all four corners of the dough over the sausage patty and pinch together to close, make sure all fillings are fully enclosed in dough. 8 Place on a greased or parchment lined cookie sheet. 9 Bake for 12-15 minutes or until golden brown. 10 Allow to cool for 5 minutes before serving.